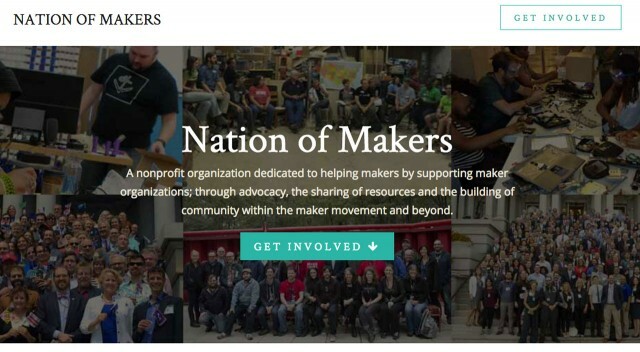 I’m pleased to announce the Nation of Makers organization has finally launched. Check out nationofmakers.us for the full story. I wish I could have done more to help with the launch, but between organizing Maker Faire Milwaukee, launching a new exhibit, and teaching PCOMP at UWM I was pretty much devoid of any free time for other things the past few months. No matter what role I play officially with the Nation of Makers organization, I’m sure I’ll continue to help the movement by producing Maker Faire Milwaukee (still the largest free-to-attend Maker Faire in the US), doing what I can to help Milwaukee Makerspace (and other creative spaces) and sharing my knowledge by teaching others and trying to build a community around the love of making and creating. Let’s hope for some greatness in 2017! Posted on Sunday, November 20th, 2016 at 6:57 pm. Subscribe to the comments feed. Both comments and pings are currently closed. Post on your own blog.